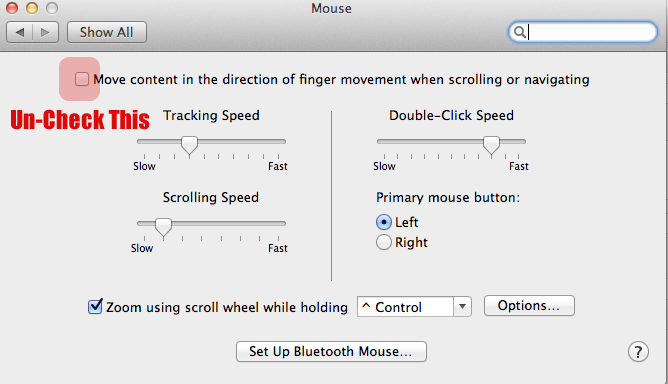 If you’re like me and just upgraded your Mac to OSX Lion then you probably hate the reverse scrolling feature. Good news, you can turn it off! 1.) Click on the apple logo in the top left of your screen. 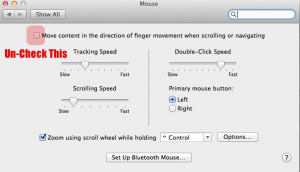 For all those with 3rd party mouse with scroll wheel on a desktop computer: there is no way to switch off natural scrolling. but there is a workaround! download the free tool “scroll reverser”. It is actually a tool to emulate natural scrolling when you work with snow leopard. In Lion, it gives you the old fashioned scroll style back!